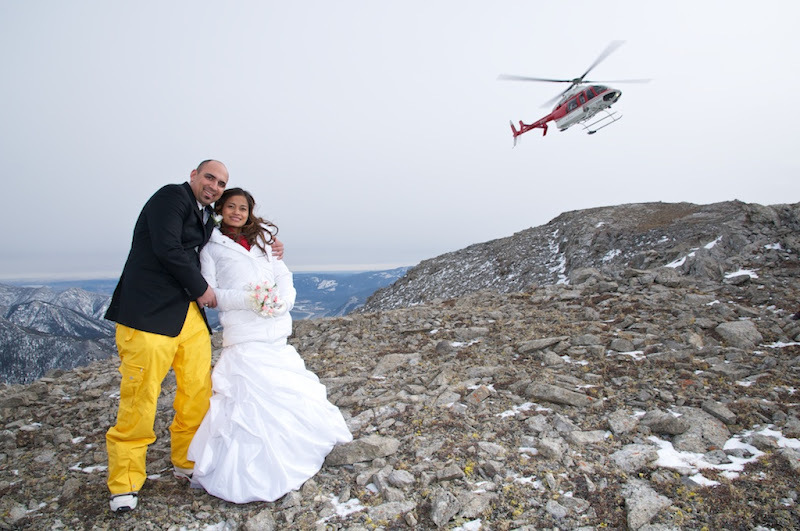 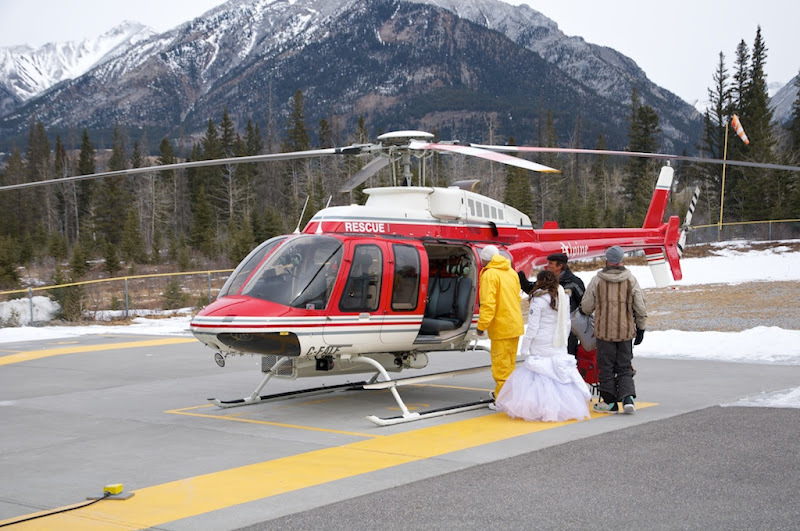 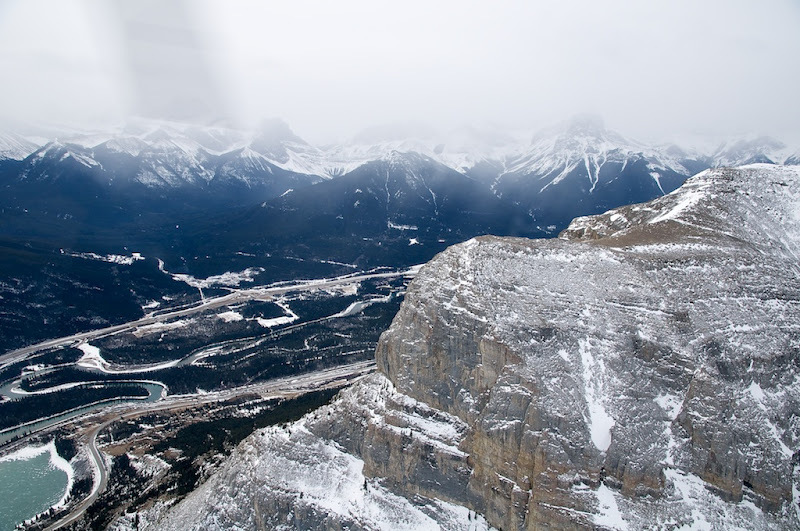 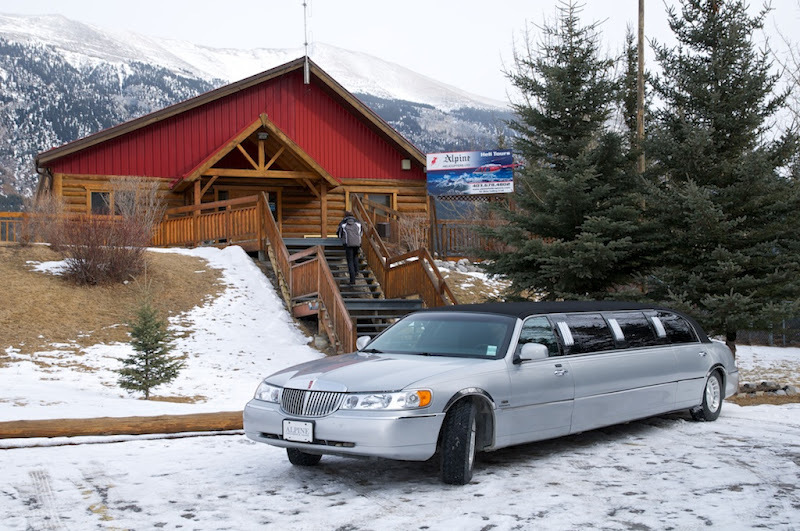 Fawn & Ryan arrived at the Heli Plex in Canmore in Style! 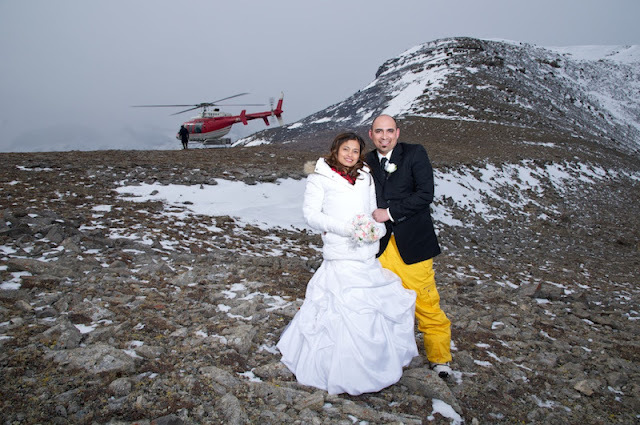 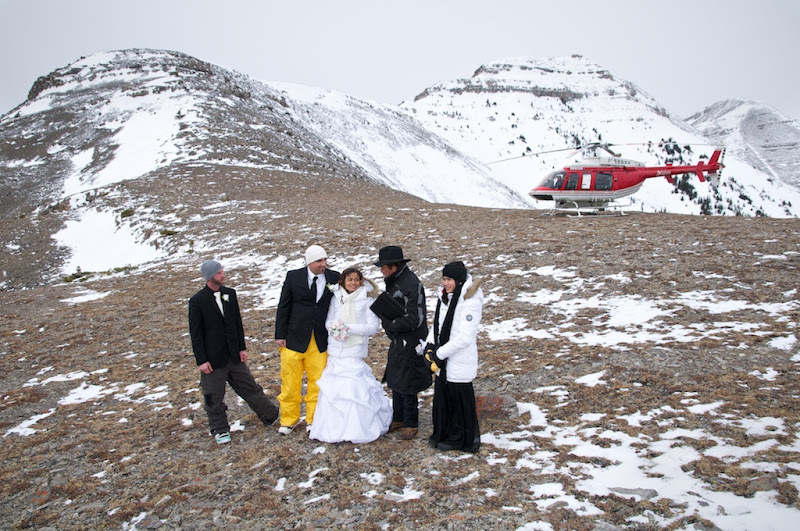 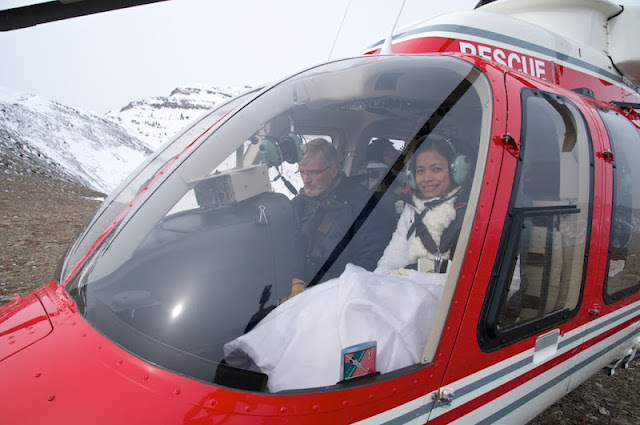 Snuggled together in the helicopter, warmly dressed and ready to fly up to Grotto Mountain. 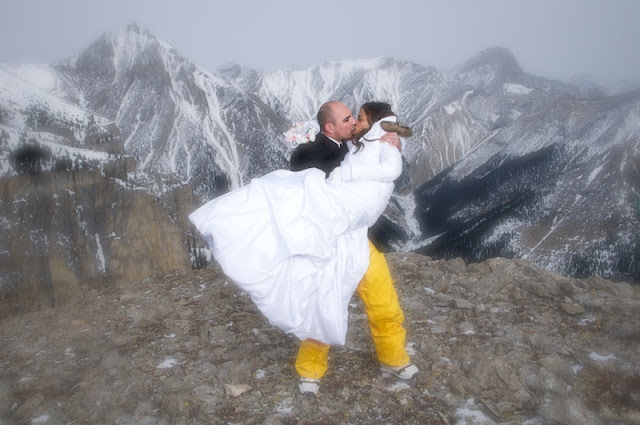 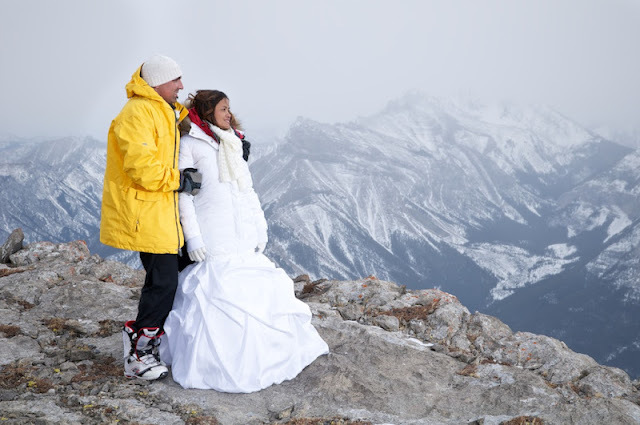 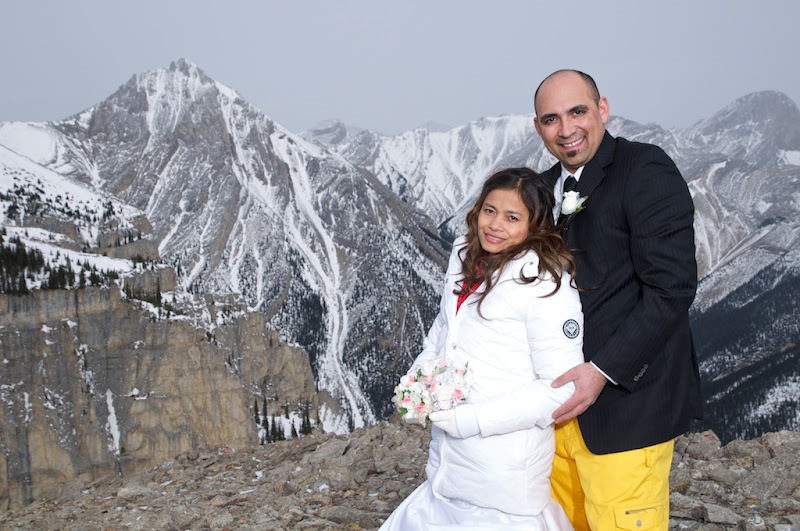 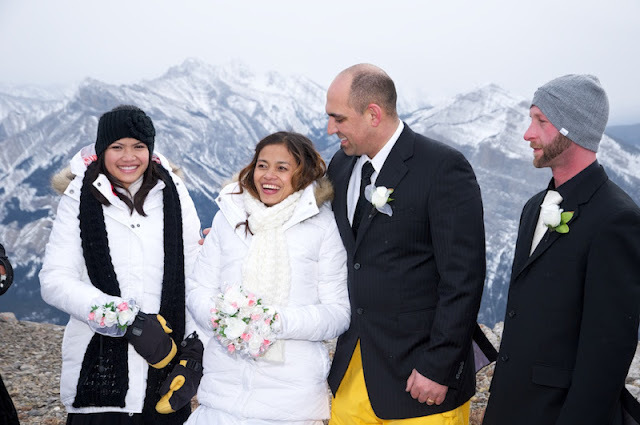 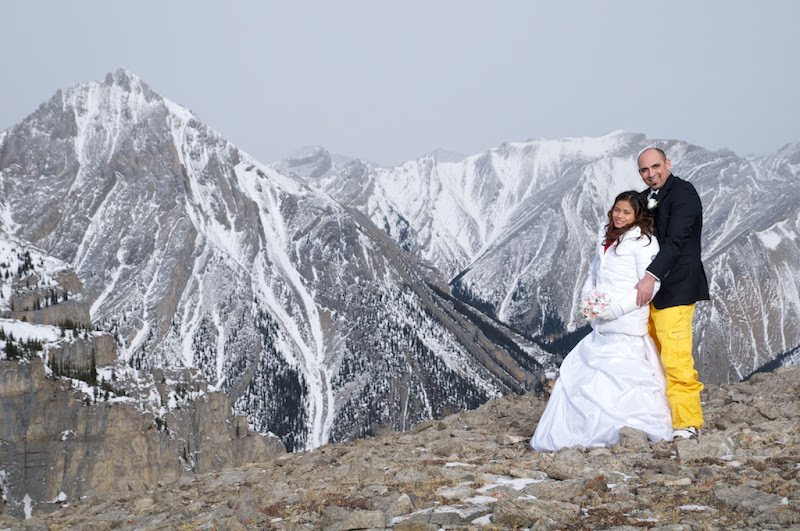 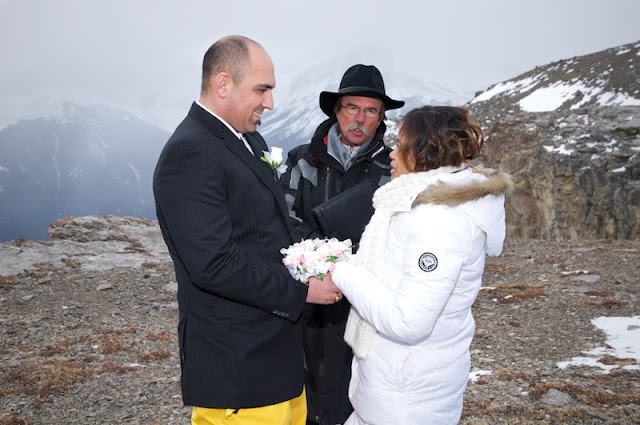 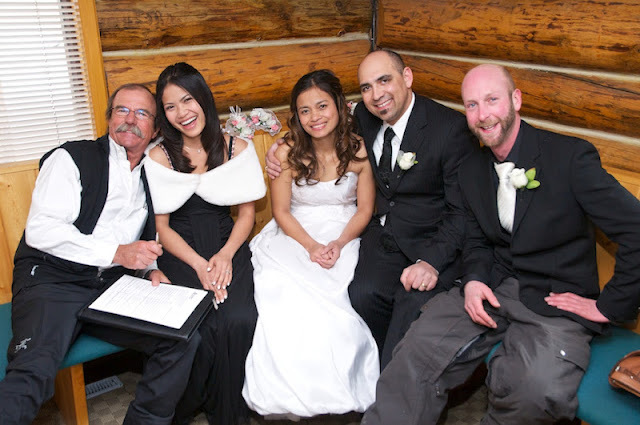 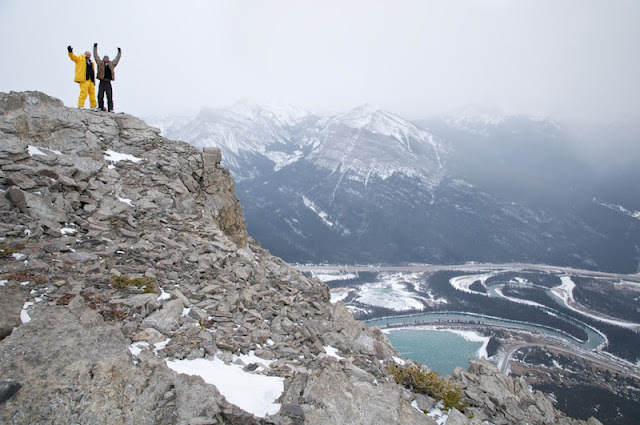 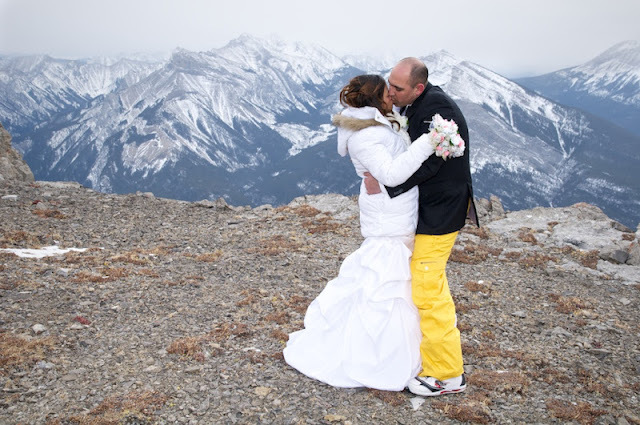 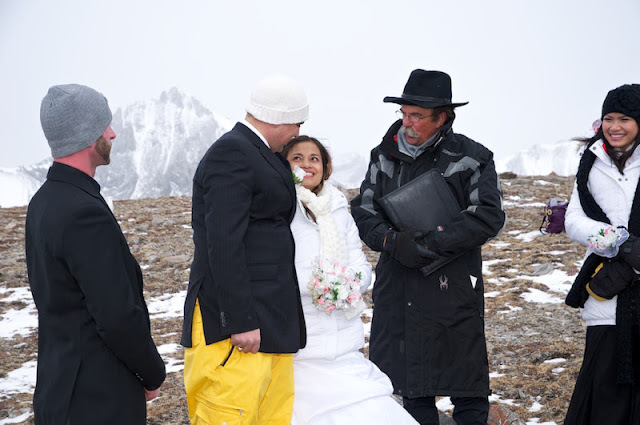 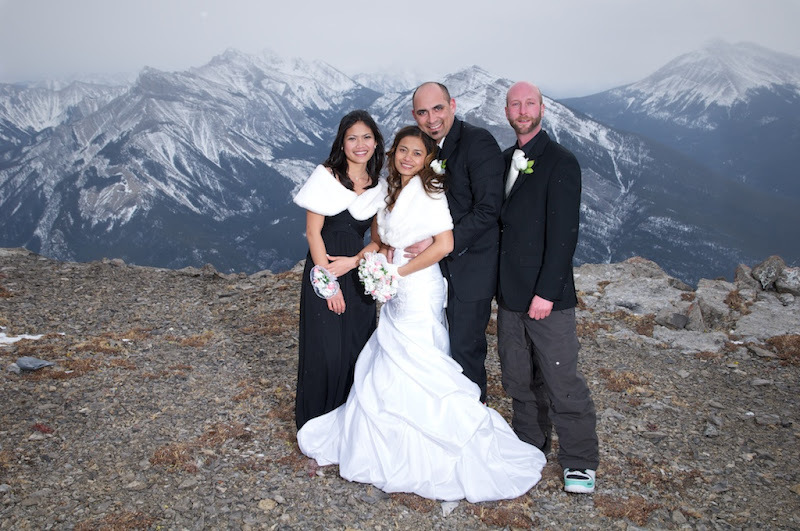 Marriage commissioner Rick Kunelius performed the Mountain Top ceremony. Back at the Heli Plex the newlyweds sign the register. 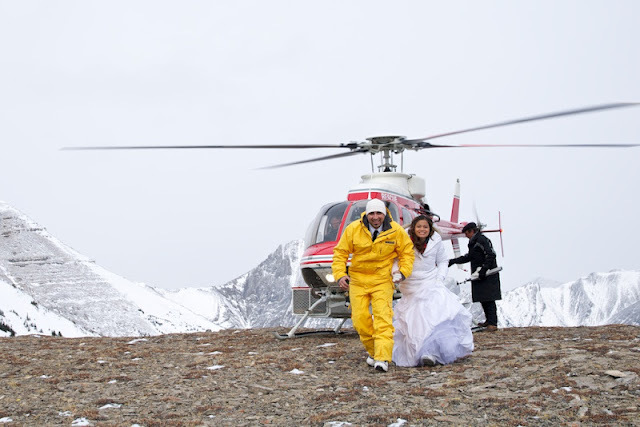 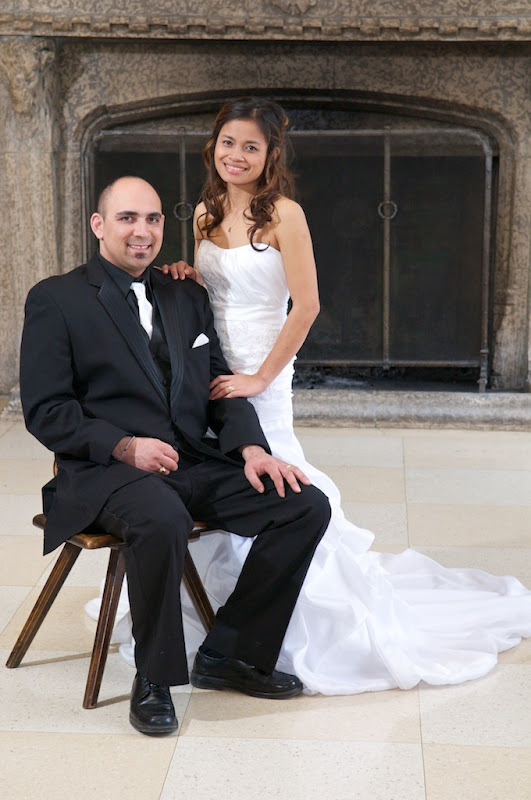 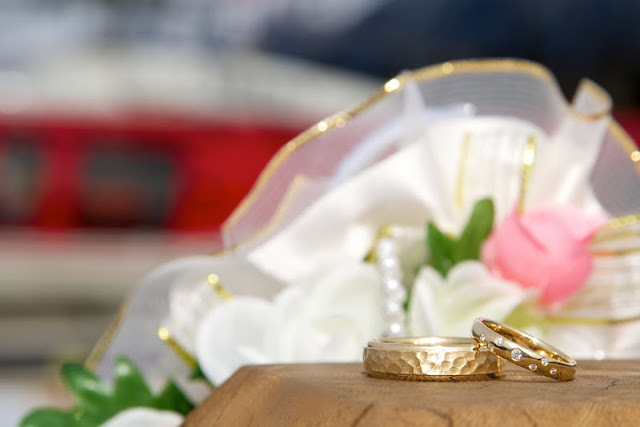 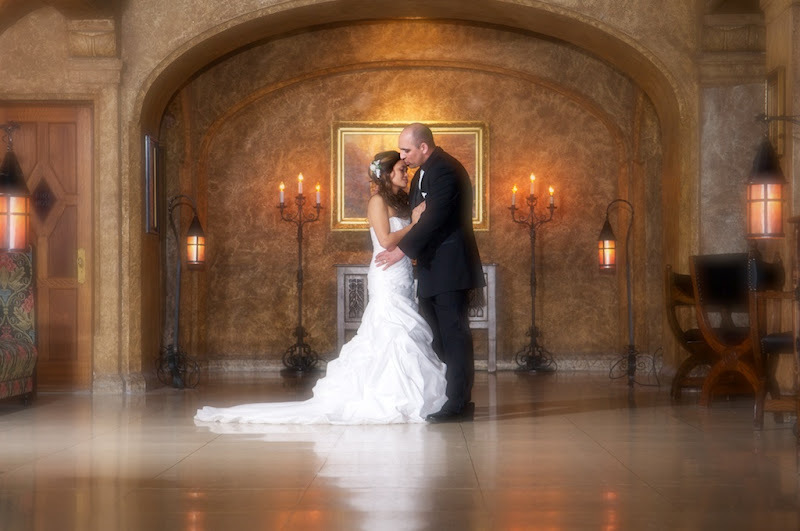 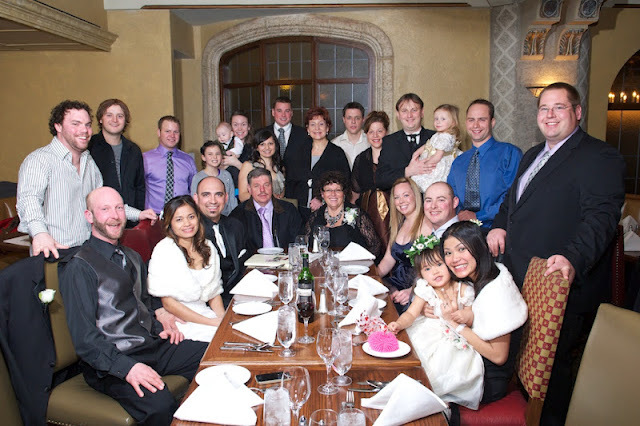 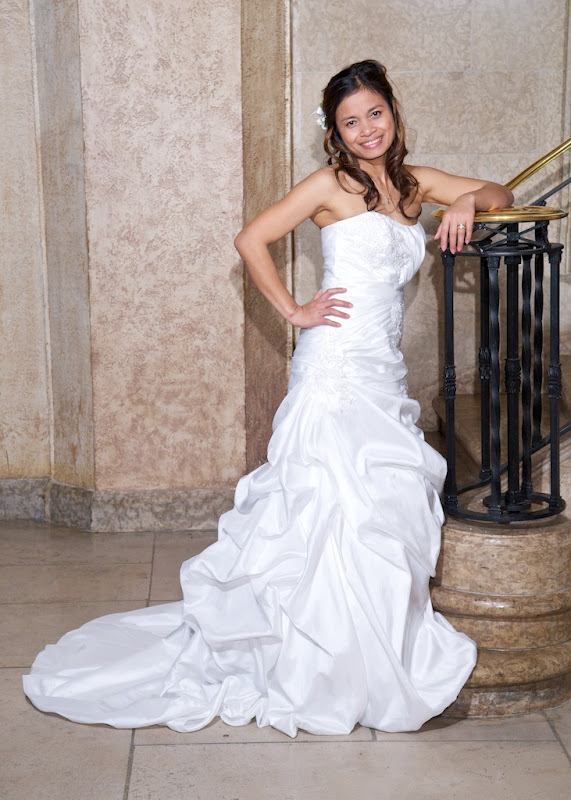 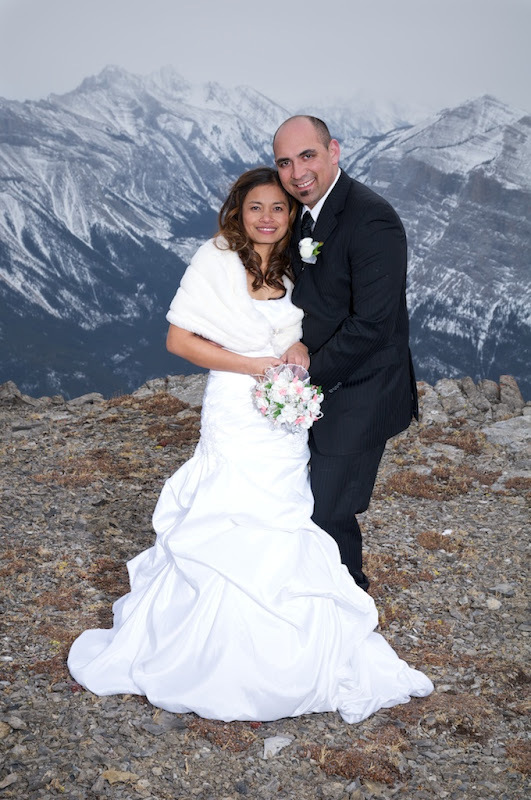 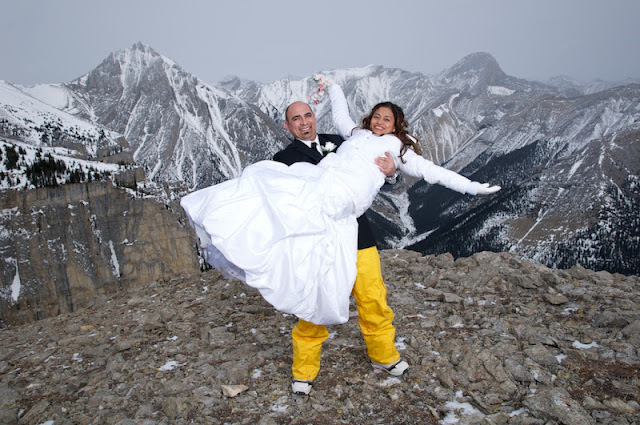 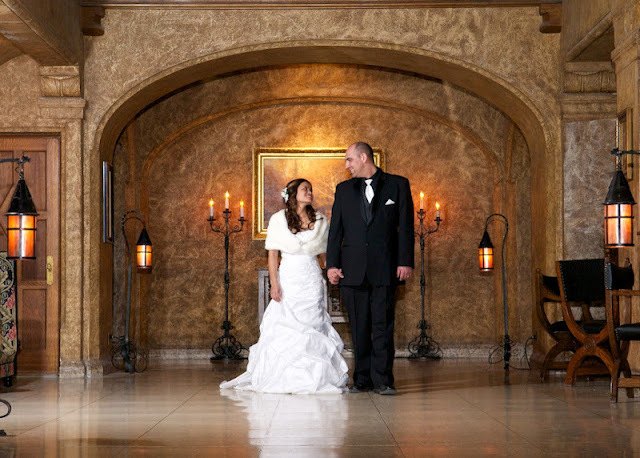 Fairmont Banff Springs Hotel to celebrate their wedding.